20 photos of 15 locos at various locations including Huncoat, Agecroft and Hams Hall power stations and the Yates Duxbury paper mill at Heap Bridge. All these locos are preserved except Huncoat Nos 1 & 2; I have included photos of three of them. 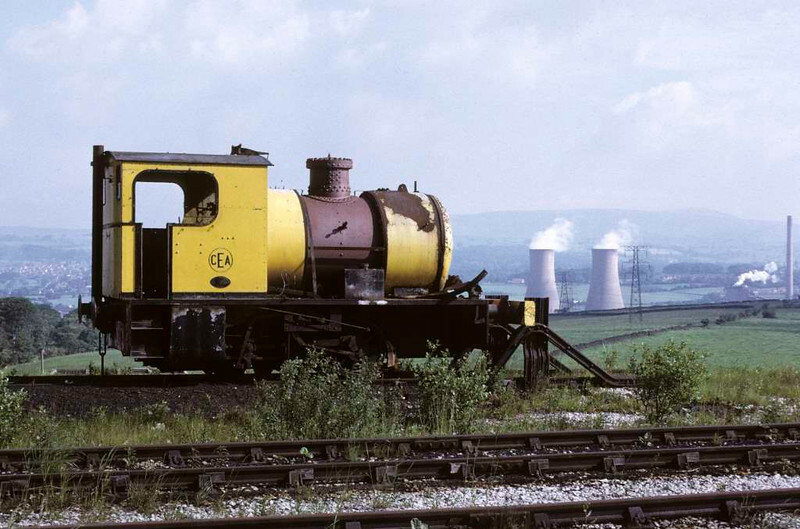 Huncoat No 2, Huncoat power station, 15 June 1973. Bagnall 0-4-0F 3022 / 1951, out of use at the end of a siding. Since scrapped. Photo by Les Tindall.